Ford of Europe's Robert Brown gets top safety, environment role in U.S.
Robert Brown will report to Ford CEO Alan Mulally. Ford of Europe Vice President Robert Brown will transfer to the automaker's U.S. headquarters on Jan. 1 to succeed safety and environmental affairs chief Sue Cischke, who is retiring. Brown, 56, will become a company officer as part of the move. His successor as boss of safety and environmental issues in Europe wasn't named in a Ford statement released on Monday. Brown will report to CEO Alan Mulally. "Robert has the right combination of skills and experience to lead Ford forward in this very important area for our company and our stakeholders," Mulally said in the statement. 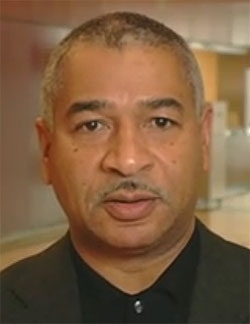 Brown joined Ford as a compliance engineer in 1979. He has been an environmental regulatory manager in Washington, D.C. He has also helped direct Ford's Automotive Safety Office and has directed the Vehicle Environmental Engineering department. He has a bachelor's degree in electrical engineering from the University of Michigan - Dearborn and a master's degree in engineering from Wayne State University in Detroit. Cischke, 57, will retire Feb. 1 after 35 years in the auto industry. She joined Ford in 2001 as its top environmental and safety officer. Before that she spent more than two decades at Chrysler in a variety of engineering roles. Cischke and human resources chief Felicia Fields, as group vice presidents, are the highest-ranking women at Ford. "Sue is the very best example of someone who is committed to being part of the solution," said Ford CEO Alan Mulally in a statement. "Sue knows how to bring people together, find common ground and make progress on the world's big issues, especially environmental sustainability, energy independence and economic development." Cischke joined Ford in 2001 as its top environmental and safety officer. Before that she spent more than two decades at Chrysler in a variety of engineering roles.